Known as the “Praying Prophet,” Jennifer Eivaz believes it's possible for every believer to carry the glory of God in their lives. Eivaz, author of Glory Carriers, explains what the glory is, as found in Scripture, and how those who follow Jesus can manifest the presence of the Holy Spirit. In this Charisma Connection podcast, she shares how she came to understand how God's glory manifests and experience it in her own life. Chris Johnson: Jennifer Eivaz is a minister and international conference speaker. She has taught at the Bethel School of the Prophets. She's an executive pastor at Harvest Christian Center in Turlock, California, where her husband Ron is the senior pastor. She's here with me today on Charisma Connection. I'm Chris Johnson and I welcome you, Jennifer. The book is called Glory Carriers: How to Host his Presence Every Day. Could you tell us how you came up with this title and with the idea of what a glory carrier is? Jennifer Eivaz: Really this book is out of my own journey of wanting to consistently see the power of God operate in my life. It is really birthed out of compassion. I like to see people set free. If they're demonized, if they need healing, whatever it is, I really desire to see that. But I didn't see the power of God, and I began to take note of those who did walk consistently in His power, that they that they also said the same thing. They said I have a relationship, I have a friendship with the Holy Spirit. So, I took note of that, and I began this journey of relationship with the Spirit of God. Over a period of time, I began to recognize that as I pursued His presence, as I pursued relationships, that the signs and wonders begin to flow through my life naturally. I didn't have to strive for it. I recognized that to carry His glory, you actually have to carry a relationship. That’s how this this book was birthed. Chris Johnson: The word glory carrier you speak of refers to the glory of God. What do we know about the glory of God from the scriptures? Jennifer Eivaz: The simplest definition, when you talk about the glory of God is it is the manifest presence of God. It is the manifestation of the Holy Spirit. You see it, you experience it, it's not a mystery. So, we see manifestation, the manifest presence of God in the Old Testament in the form of the Shekinah glory, in the form of a (inaudible) glory. You see the manifestation of His glory in the person of Jesus Christ. You see the Holy Spirit coming upon the church. You see the gifts and the expressions of the Spirit of God is the New Testament. And so, that's the glory of God. It has a message, and He’s here to dwell with us. Chris Johnson: Tell us more about how you've encountered the glory of God or seen it in our churches or gatherings today. Well, I know that it's birthed in relationship. If you honor the presence of the Holy Spirit, if you honor the person or the Holy Spirit, He will respond with His presence. So, I believe many people have had occasions this experience with His glory, as well as churches. But what I'm really after is something that's consistent. I think that's where we are growing different churches, different people. They are at different places because this is a journey. It's something where everybody's in a different place. But I am seeing a growing expression of the glory of God. Consider the scripture that we are going from glory to glory. And what I mean is people are honoring the Spirit of God, they're discovering the Spirit of God, personally, and corporately more and more, and the manifestations are growing more and more. Chris Johnson: We as believers are commanded to be filled, and that means to keep on being filled by the Holy Spirit. So, how does that impact how we interact with our family, our friends, our neighbors, our colleagues every day? Jennifer Eivaz: It impacts us because we're carrying the presence of God on our lives. If you look at it scripturally, wherever the presence of God was, represented by the Ark of the Covenant, for example, wherever the presence of God was, there was blessing, there was protection, there was breakthrough. And all sorts of things come by being in proximity to the presence of God. So, as an individual who carries his presence, that alone is going to impact everybody I come in contact with. It cuts through the kingdom of darkness because light always triumphs over darkness. The glory of God, one of its attributes is light, the light of God, and the light dispels, destroys the darkness. So, me pursuing the presence of God is going to take care of a whole lot of things in my everyday natural world. Chris Johnson: What does it do to our prayer life when we think of ourselves as glory carriers? Jennifer Eivaz: In my prayer life, I am after connection, a felt connection with the Spirit of God. And in order to have that, that often means I have to deal with my heart. He’s good to point things out in a very loving way. But nevertheless, he will let me know that this attitude in your heart breaks our connection because He doesn't tolerate certain things. But that doesn't mean doesn't love us. It doesn't mean He's forsaking us. Simply, in relationships, there are certain things that we tolerate and certain things that we don't. So, in order to carry him in the weight that He wants me to carry Him … my prayer time is really about connection and presenting my heart in whatever way it needs to be transformed, changed, so I can deepen my connection with the Spirit of God. 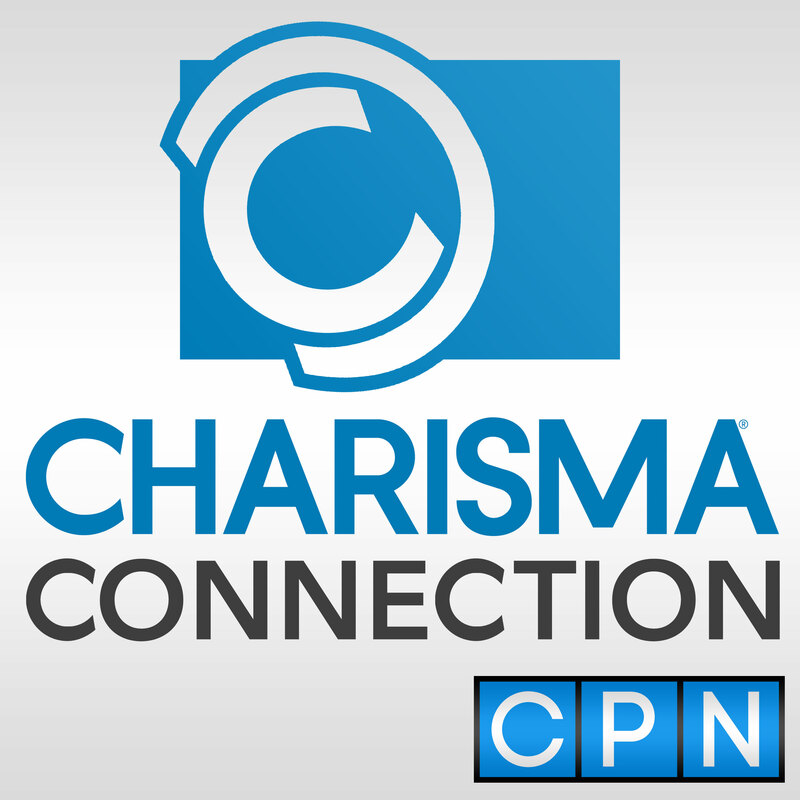 Chris Johnson: Well, we like that word here on Charisma Connection. So, how can you encourage believers who don't ever seem to feel the presence of the Holy Spirit in their lives? Jennifer Eivaz: I want to encourage you to keep pursuing that connection. It is a felt experience. I went through several years struggling to feel his connection. I couldn't tell you exactly why, I think it was it was just something I needed to grow in. I needed to be able to identify His presence. I also had a whole lot of heart transformation that needed to take place. And that's an ongoing thing. There were a lot of things going on in my life. I would say in the form of attitude I was breaking my connection with Him. But what I found is that He doesn't stop pursuing you. I need to not stop pursuing Him, even if I'm frustrated. Even if it feels like my connection is broken. I know that He hasn't forsaken me. I’ve just got to keep after it and working on it and trust that, as time progresses, I will transform and I will be able to identify His presence on an ongoing basis. Chris Johnson: So, every believer can experience this manifest presence. What's your vision for this book, Glory Carriers? Jennifer Eivaz: I want the everyday person to get competent enough to pursue a relationship with the Spirit of God. That's number one. Because I'm the ordinary person. I'm actually the broken person who pursued that relationship and this is what God has done in my life. But the second thing is I want the ordinary person to operate in signs and wonders in a way that defies darkness wherever they are at, and that displays the goodness of God, wherever they are at. I think we need to start recognizing that the Holy Spirit is no respecter of persons. This doesn't have to be a platform ministry. It doesn't have to be a television ministry, or even a full-time ministry. It could just be me, in my everyday world carrying the presence of God powerfully. For the rest of the interview with Jennifer Eivaz, please visit click here.